The cool and clear water of the 20 km long Bulu River or as its also known as the Bolo River is the river that divides the Municipality of Pagudpud and that of Bangui. The river has its source up in the mountains near Adams, also well worth the visit as we recommend elsewhere in this website. It is absolutely perfect for those visitors wanting to have fun on white water and shoot the rapids in a kayak, or just go swimming in the refreshing waters. Trust me on a hot day those waters are just magic! 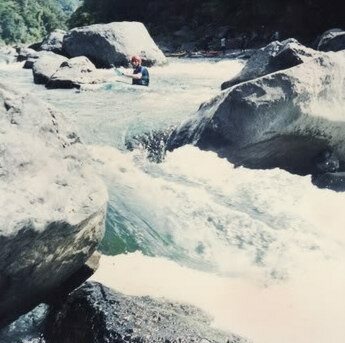 Sometimes the waters run very fast and some kayak skill will be required to negotiate the white water rapids. The section of the river in Barangay Dampig, Tarrag and also Poblacion 1 have a great many large boulders and also deep water that make it perfect for kayaking, but again you should known what you are doing so you stay safe. You will have to bring your own kayaks as there are no rental businesses in the area renting as far as we are able to determine. A tour organizer for this kind of activity may be contacted in Kalinga and Cagayan so best search online for these operators. Many foreign tourists are today are discovering this area and recently one of Australia's most respected and important foreign travel writers graded Saud Beach as Number 1 on the list of the Top Ten best Asian Beaches. 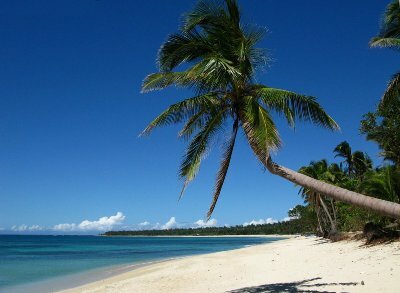 Find Pagudpud before the tourists find out. The local region comprises really attractive and almost deserted beaches, spectacular waterfalls, beautiful scenic vistas, and a real genuine get away from the rat race feeling.